Mrs. Gordon is originally from Delaware but came to BLHS from Northern VA where she was a high school counselor for 5 years. She graduated from Wilmington University with her M.Ed. in School Counseling. In her free time, she enjoys spending time with her husband, Matt, and daughter, Avery. Mrs. Gordon is extremely excited to get to know her students, their families and community members and provide assistance in any way she can! Ms. Wicker graduated from Mid-Carolina High School in 2011, from Clemson University with a BA in English in 2014, and she received her M.Ed. in Counseling and Development from Winthrop University in 2016. Ms. Wicker previously worked in Laurens County for two years, at Laurens District 55 High School and Ford Elementary School. Ms. Wicker lives in Prosperity and in her free time she enjoys reading, napping, and spending time with her family. Ms. Wicker can’t wait to work closely with students, parents, and other staff members to support BLHS the best way possible. We have developed a new system for students to request appointments with their counselors during the school day! The links listed below are solely for student use and are not to be utilized for parent/staff meeting requests. 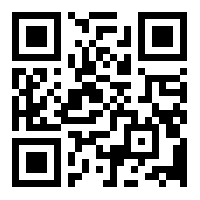 Students can either access the link provided or scan the QR code with their smartphone camera. Upon doing so, a survey form will load for the student to complete for their appointment request.